I guess it’s about time I put up another cookie post, given the name of this blog… besides which, one of these is the reigning favorite cookie in this household, so it deserves another turn in the spotlight I think. The other – the tahini one – is a new-to-me recipe, adapted, because ofc I can’t leave any recipes alone and I *always* add vanilla and cut the sweetener! Since ‘come to the dark side, I have cookies’ is such a thing too, I got to play with my Death Star plate, courtesy of Chelsea! This thing cracks me up. The hills are so GREEN!!! I just can’t get enough of them – I grew up in California and have spent nearly all of my adult life here (actually, I’m a fifth generation Californian, wooooo baby) and even so, I am just in awe of how beautiful the green is. All I want to do is go run around the ridges! So I did just that, last weekend between the rains. It was a little muddy in spots but totally worth it. I’m keeping it short today – busy but awesome weekend with fave human, old & new friends, and relaxation. A Wait are those Cookies original – the reigning favorite for C and I! We’re obsessed, sorry not sorry! Yield: around 12, if you make them large, or 16 if they’re smaller. These keep fabulously in the fridge – I love them straight out of the fridge, but you can totally leave them on the counter too. Refined sugar free & dairy free w/ a gluten free & vegan option. *I have made these both ways and actually prefer the flax egg – that way, they’re also vegan if you require that! These are incredibly forgiving. Preheat the oven to 350. Toss all the dry ingredients in a big bowl & stir. 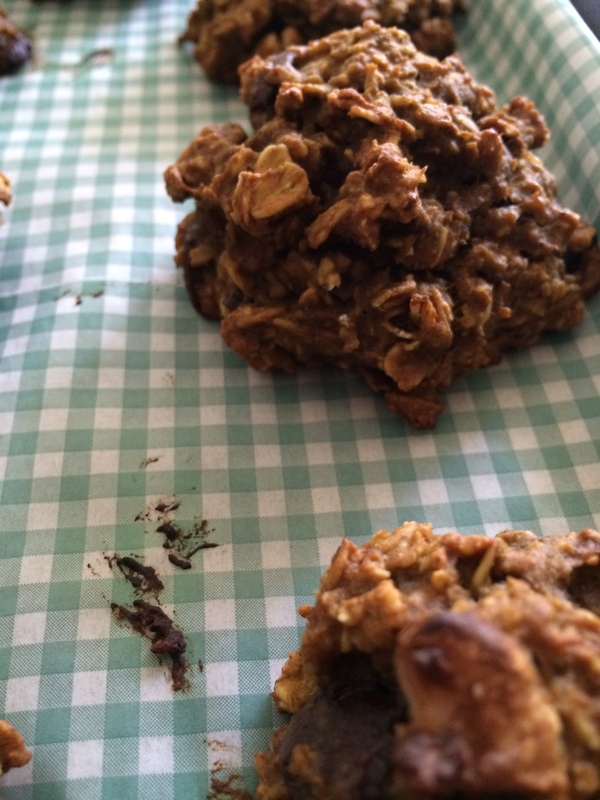 Add coconut, maple, vanilla & flax egg, and stir that… then add chocolate & form into little balls. Flatten them slightly, and bake on a parchment lined baking sheet for ~12 min. They will bake longer if using brown rice flour – start checking at 12, but they can go for up to 20. They should have a slight give when you push on the tops, but not too soft. Remove and let cool for a few on the cookie sheet, then move to a cooling rack to cool completely. Store them in the fridge if you like them extra chewy! Gluten free, refined sugar free, dairy free. Yield: 10-12 smallish cookies. Nutty and not too sweet! Adapted from Tasting Table, here. I used chocolate chips because that’s what I had on hand – feel free to chop a chocolate bar instead, I’m sure it would be divine! These are cookies, so they’re easy! Preheat the oven to 350, and line a baking sheet with parchment paper. In a large bowl, stir everything together except for the sea salt, making sure you don’t end up with clumps of anything in particular. The dough will be really sticky – totally fine. Stir in the chocolate chips. Roll the dough into balls, flatten slightly, and sprinkle with a bit of sea salt. Bake for ~10 minutes, until the tops are just slightly firm and lightly brown. Remove and let cool for a few, then move to a cooling rack to cool completely – they’re fragile when warm. Store in the fridge. Wait, is this actually a cookie recipe? Though this blog is named after them, I find that I rarely post them on here…. which is silly, given that I make this particular recipe at least several times a month – they are perennial favorites of all parties. We ate these for dessert with ice cream (of course! can recommend mint and vanilla with high marks) and alongside a late brunch/lunch after a very sweaty hike. Of course, they are also excellent alongside a tall glass of milk (whole, if you please). So anyway – tomorrow is Monday, ew – do yourself a favor and take 15 minutes to whip up some cookies. The beginning half of your week will thank you! 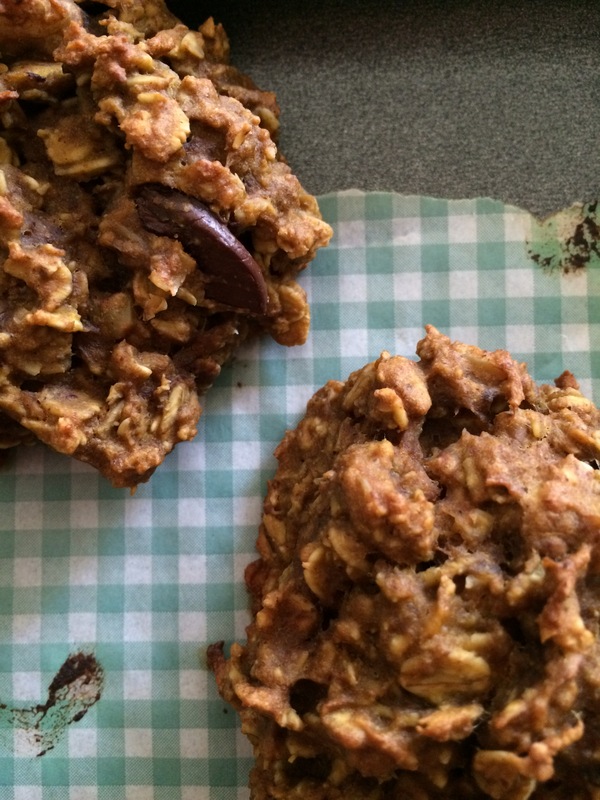 My favorite cookies – I make these more than anything else, at least a few times a month! C & I love them, fam loves them, etc etc. Whole grain, refined sugar free, dairy free & a gluten free option (just use 1/2 c brown rice flour instead of 1 c of whole wheat). 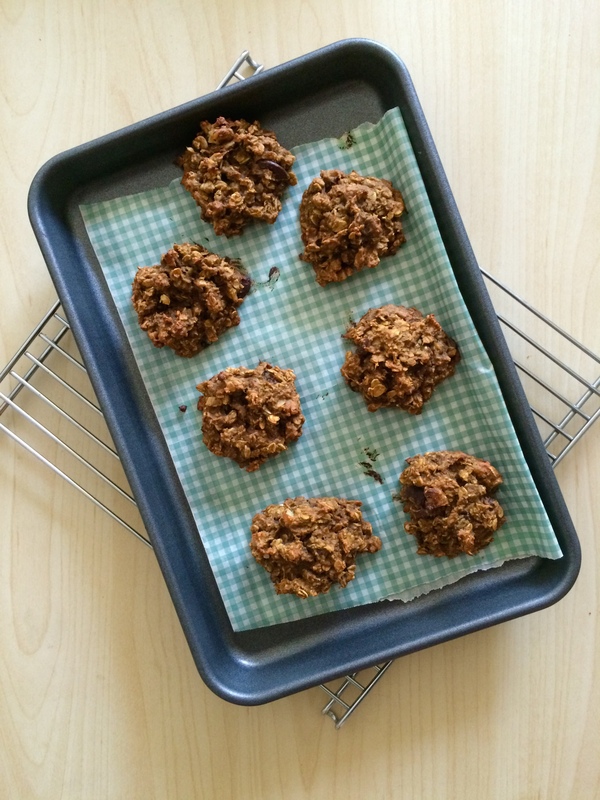 Cakey, dense, chewy cookies that are great for hiking or snacks or whatever else. A Wait are Those Cookies original. Yield – somewhere 12-16. Preheat the oven to 350 and line a baking sheet with parchment paper. 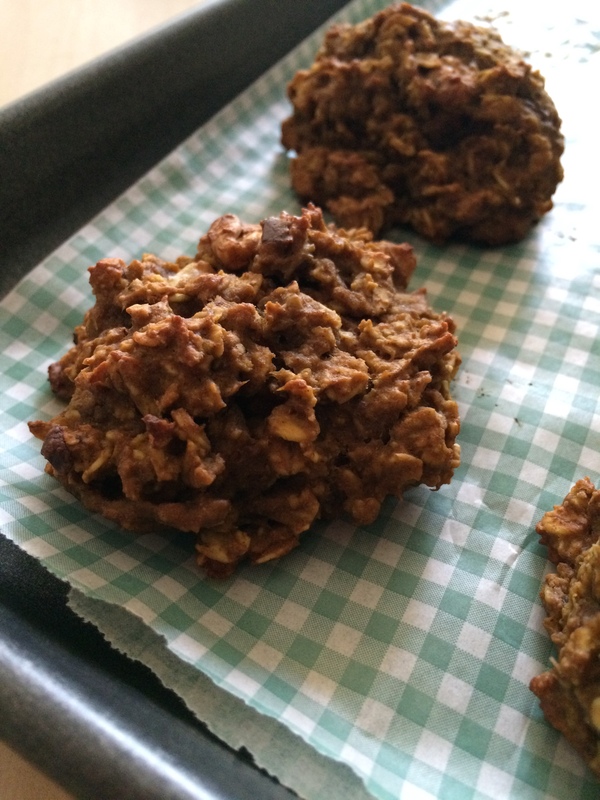 Mix dry, toss in melted coconut oil, flax/egg, vanilla, maple, chopped chocolate; mix – these are not finicky cookies! Roll into balls and place on lined baking sheet, flattening them slightly. Bake for 10-12 on parchment at 350 if using whole wheat flour; bake for 12-16 if using brown rice flour. Let cool a few minutes on the baking sheet, then transfer to a cooling rack to cool completely. I like to store mine in the fridge – they get extra dense and chewy that way. They do best wrapped in foil on the counter or in a slightly less than airtight container on the counter (I prefer plastic over glass since glass can make them go soft). Somewhat less aesthetic & refined than my fruit desserts of late, but sometimes you have to trash up your dessert a little. And it photographing such a hot mess (or at least attempting to) is lots of fun! Somehow I managed NOT to get ice cream on my phone, I consider that a rousing success. Okay… So we all know that I lovelovelovelove ice cream. But actually I lovelovelove ice cream and I LOVELOVELOVELOVE ice cream sandwiches. There is a world of difference when it comes to this. And no, a cookie with a scoop of ice cream on top is so not the same thing. Close, but no cigar. In a pinch it is definitely an acceptable substitute, but give me ice cream smooshed between two chewy cookies and I am one happy camper. It’s-It ice cream sandwiches are undeniably delicious but why buy them when you could level up and make some that were even more delicious and with better-sourced/pronounceable ingredients and more nutrition (with minimal effort)?! Right. My thoughts exactly. Besides that, these are SO easy and involve really only two steps: make cookies, then play with your food! Who doesn’t like that? Besides, these were consumed with berries, so that makes them virtuous… I kid. Happy springtime! Mother Nature needs none of your silly filters. These are ridiculously easy! The cookies I used are whole wheat and sweetened with maple, which mollifies me a bit in terms of avoiding refined sugar (yes, I know I’m also eating ice cream… It’s all about balance). I think these are best fresh, so I would only make as many as you’re going to eat in one sitting. Can be gluten free, dairy free, or vegan depending on dairy or nondairy ice cream of choice and cookie recipe [mine were none of the above – sub a gf/vegan/dairy free cookie & ice cream]. 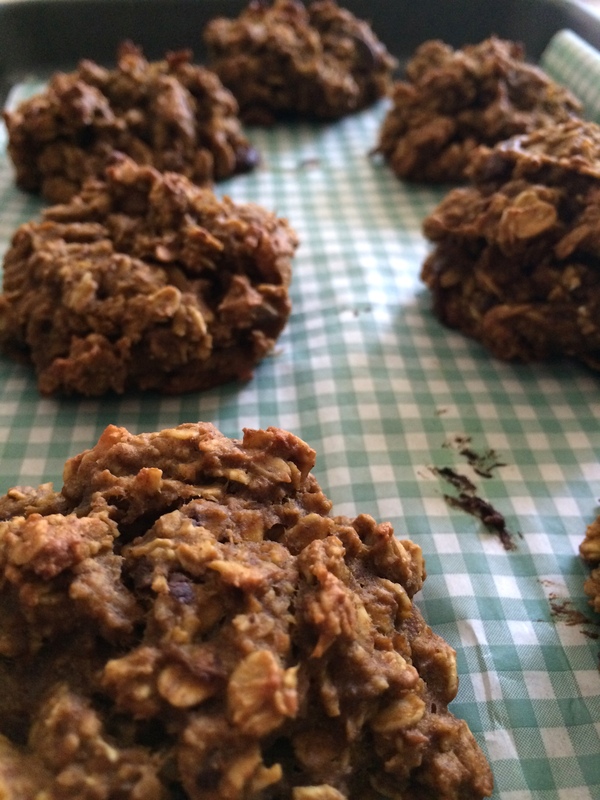 Make favorite chewy oatmeal cookies. Let cool. Melt chocolate and coconut oil either in a double boiler or in the microwave on 30 sec intervals, stirring in between until fully melted. Set aside. Take favorite ice cream (I prefer Straus vanilla chocolate chip) and smoosh in between two cookies. Eat ice cream out of the carton because… just because. Squash other cookie on top of delicious pile of cookie and ice cream, and then, working quickly to prevent meltage and structural failure, roll it around in melted chocolate. Pretend to shake off excess (but actually don’t, because chocolate). Place on a parchment paper lined plate and stick them into the freezer until the chocolate hardens, five minutes or up to two hours. Unstick carefully from plate and stuff face! Grin happily and pat yourself on the back for leveling up. In a large bowl, whisk together whole wheat flour, oats, baking powder, cinnamon, and sea salt. In a smaller bowl, whisk together egg, maple, melted butter, and vanilla extract. Pour wet into dry and mix until just barely combined, stirring in chocolate chips. Cover the dough and refrigerate for minimum 30 minutes, up to 1 hour. Preheat the oven to 325, and line a baking sheet with parchment paper. Drop refrigerated dough by the tbsp onto the baking sheet, flattening each slightly (they won’t really spread). Bake for 11-13 minutes (mine were done at 12), until the tops spring back when touched and the sides are firm. Cool on the pan for a few minutes before transferring to a cooling rack. Let cool completely before turning into sandwiches! Store in an airtight tupperware at room temp unless you eat them all immediately. Can someone explain how it’s already 2016? Woah. Apparently I’ve totally fallen off the blogging wagon. It’s nothing personal, don’t worry — I still love you, invisible internet friends!! But life seems to be taking me in different directions these days, so time to blog is few and far between. That’s not to say I haven’t been baking…. or cooking… or eating… because all of those have been happening in spades. AND I made cookies last night apparently several days ago since I really failed at actually posting this when I thought I was going to… AND the cookies are fantastic. AND my winter quarter started today, how on earth is that possible?! I swear I just started break. Can I rewind and redo and have an extra month of break please? I’ve been drawing again, wheeee! But anyway, cookies! These are fantastic — chewy edges with softer centers, and extra chewy when you keep them in the fridge, which is my fave. Happy 2016! I think this year is going to be pretty fabulous. Vegan, refined sugar free, full of healthy fats and whole grains. Just sweet enough for the post holiday season. Thick, chewy edges with a softer center. Perfection. Yield: 17. Recipe lightly adapted and gratefully borrowed from Pralines and Greens, here! Preheat the oven to 350, and line a baking sheet with parchment paper. In a small bowl, combine flaxseed and water and let sit for the flax egg. In a larger bowl, whisk together almond flour, spelt flour, oats, baking soda and powder, cinnamon, nutmeg, and sea salt. In a smaller bowl, combine melted coconut oil, maple syrup, coconut sugar, and vanilla. Pour wet into dry, and stir until just combined. Add flax egg. Toss in chocolate chips. Form the dough into little balls, and flatten slightly once they’re on the cookie sheet. Bake for just about 11-12 minutes, then let cool on the baking sheet for a few minutes before transferring them to a cooling rack to cool completely. Store in an airtight container at room temp for softer cookies, or in the fridge for cookie with chewier edges (my personal fave). How is it almost November? Can someone explain this madness to me? I mean, first of all it’s still kind of hot (summer, you can bugger off now… you have officially overstayed your welcome) but also, where did September and October go?! I want them back please. And I know the term compost cookies is probably unappealing, but it’s always made me laugh. I suppose you could call these ‘pantry cookies’ but isn’t compost more fun?? Besides… these are hippie enough that the stuff going into them is stuff that usually lurks in the fridge or fruit basket, and therefore is more like… compost! Obviously. These cookies get a little crisp on the outside while staying cakey and delicious on the inside. 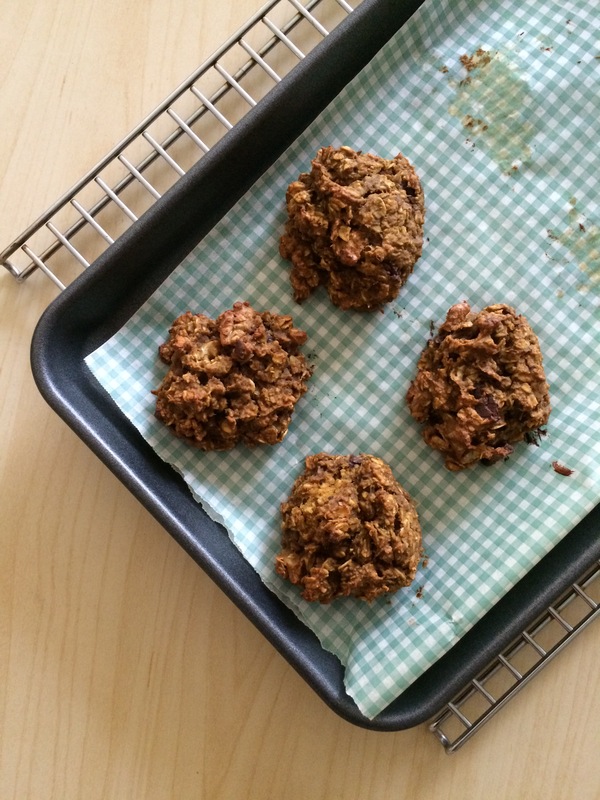 If you want a chewy pumpkin cookie, these aren’t it… but they ARE quite tasty. They store well in the fridge and make for a fast breakfast or a good snack. AND they’re full of healthy fats and good fiber, plus antioxidants. No refined sugar, can be gluten free… the options are endless. Don’t like walnuts? Use something else. Hate sunbutter? 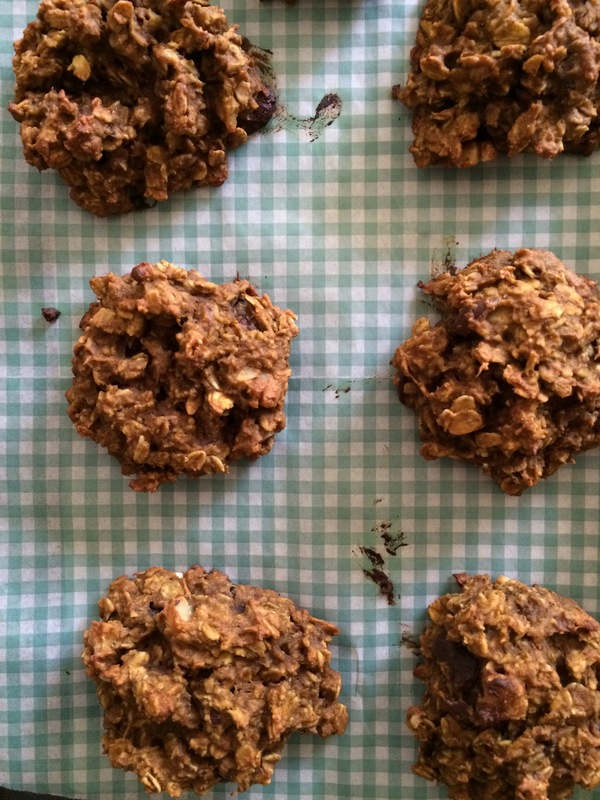 Use almond or peanut— These are extremely forgiving cookies. 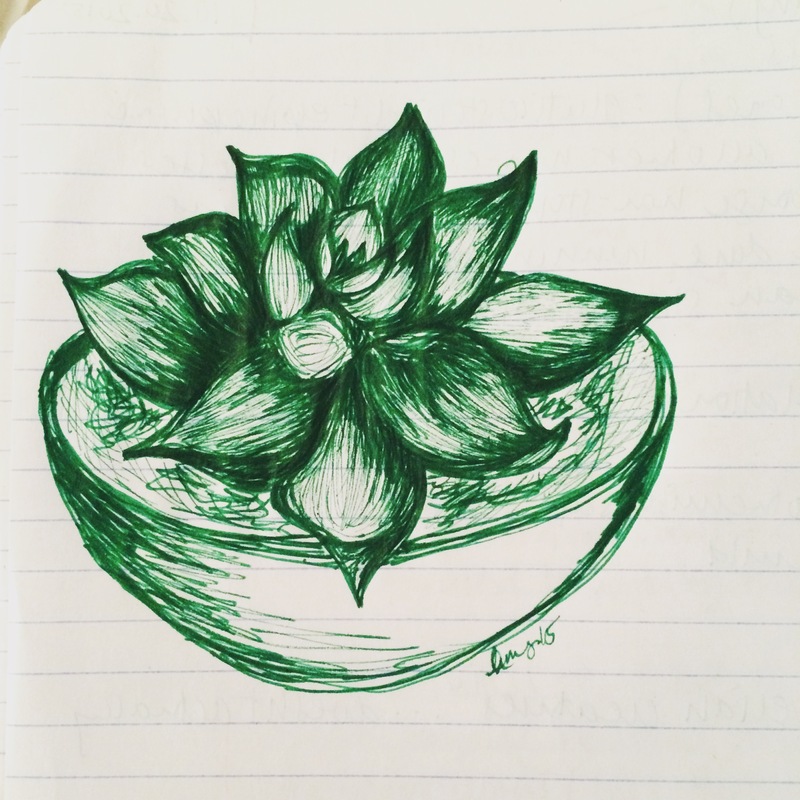 Sometimes, you have to take a break from taking lecture notes for your own sanity. Making cookies like this reminds me of undergrad when I would run home and make lunch and a batch of cookies in the hour I had between class and work. If that isn’t time management, I don’t know what is. Also, I really need to study right now but I am sleepy and brainsore (that’s a thing) and I just want to cuddle on the couch with my novel and a cookie and a nap. But.. le sigh. That is currently impossible because stats and the billion other things I have to do are calling my name and I really should get on that. But at least I shared cookies, so that if your Sunday is less nuts than mine, you can make something delicious out of your fridge compost. Happy almost November! Enjoy your pumpkin goodness. Vegan, low FODMAP and IBS friendly, gluten free option (just switch the spelt flour for a gf flour of your choice), refined sugar free. And delicious! A Wait are those Cookies original. Yield: 12 cookies. Preheat the oven to 350, and line a baking sheet with parchment paper (or 2, if your oven is stupid tiny like mine and normal cookie sheets don’t fit. Rude. Bring on the quarter sheet pans). This is pretty much as easy as it gets. Bust out a bowl. Mash up the banana with a fork, then stir in pumpkin puree, vanilla extract, maple, sunbutter, almond butter, and hemp milk. In the same bowl, because we’re making cookies on our lunch break between classes today and this needs to be fast, toss in oats, spelt flour, salt, baking soda, cinnamon, nutmeg, and ginger. Stir to combine. Stir in chopped walnuts and chocolate. Make sure the whole thing is nicely mixed, then drop lazy spoonfuls onto your prepared cookie sheet (all 12 should fit onto a standard cookie sheet no problem; these don’t spread). Bake for 15-16 minutes, until the top is lightly browned and mostly firm to the touch. Let cool on the pan for a minute before moving, then move to a rack to cool completely. Store leftovers in a plastic container in the fridge (glass will make them go soft).